Buying a door may not always guarantee that your home will be 100% safe. Burglars are becoming increasingly good at sourcing weak points in doors, leading to the cracking of locks and the potential threat of entering a property. We’re aiming to significantly reduce and prevent this and are so confident that our Ultion lock is so difficult to break in to, that we’ll offer you our Secure Guarantee. 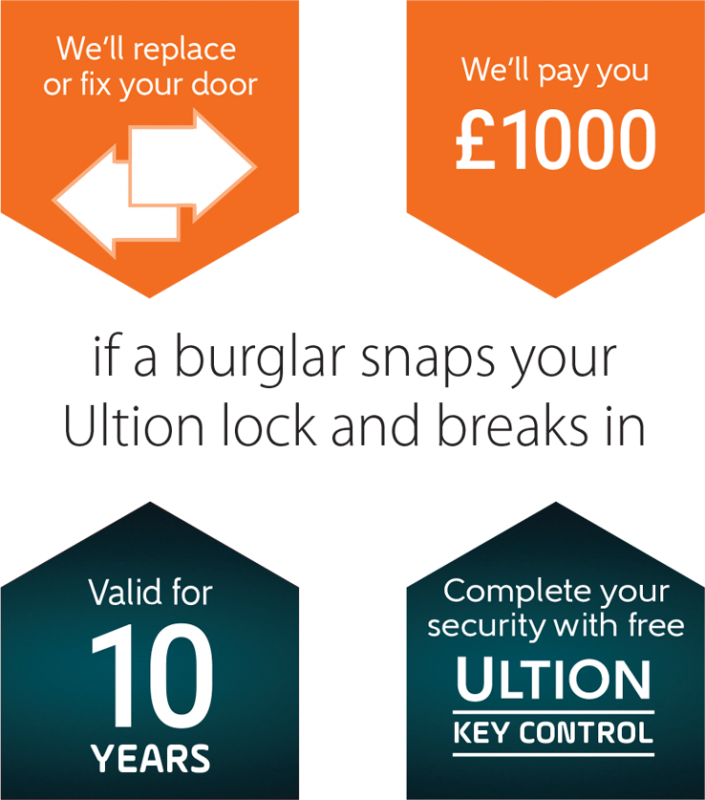 If your door is broken into through the Ultion lock, then we will give you a replacement door if it can’t be fixed and £1000. That’s how confident we are in the Ultion lock. It’s no secret that burglars can open doors locked with normal cylinder locks in seconds. 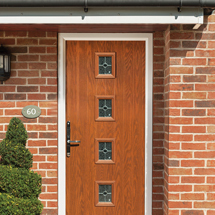 That’s why our bespoke composite doors are fitted with Ultion as standard. Ultion’s trademark Lockdown Mode activates a hidden lock when it detects an attack. That’s why it is accredited by not only the TS007 3 star grade 6 Kitemark but also Sold Secure Diamond from the Master Locksmith Association. What is the Ultion Lock secure guarantee? 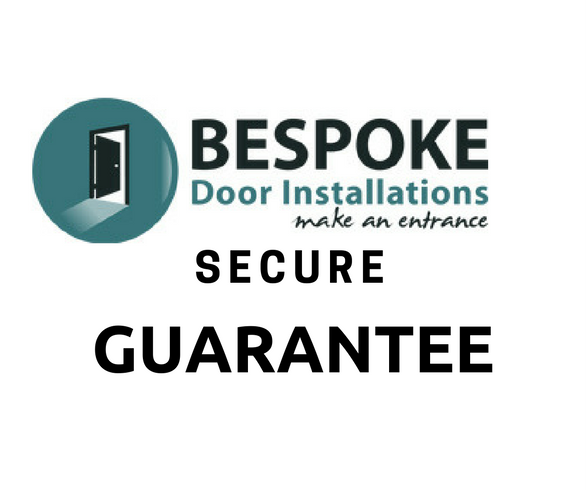 The Ultion Lock guarantee is now available on all composite doors from Bespoke Door Installations with the Ultion cylinder. 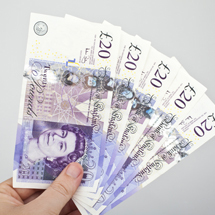 This means the homeowner will receive £1000 and a replacement door (or repair if you that’s what you would prefer) in the event of a burglary where the intruder gained entry by snapping the Ultion cylinder. How long does Ultion Lock secure guarantee last? 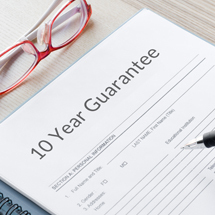 The guarantee lasts for 10 years from the date of installation. 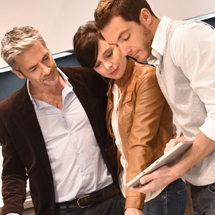 How much does the Ultion Lock secure guarantee cost? To register for the guarantee, you just need to complete the form from the card attached to your new keys, within 14 days of installation.